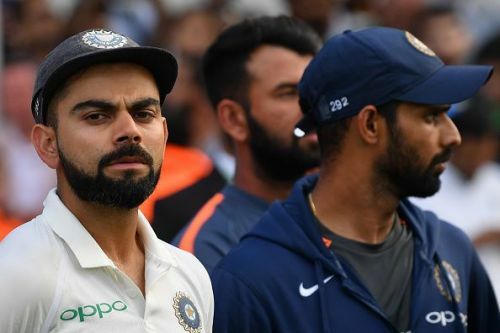 The Test series against England ended on a disappointing note for the Indian cricket team as they lost the fifth and final Test by 118 runs, thus losing the Test series 4-1. Thanks to a 204 run partnership between KL Rahul and Rishabh Pant for the sixth wicket while chasing 463, the Indian side almost made an astonishing comeback, however, they were stopped by Adil Rashid. In the end, it was quite an easy victory for the English side. Apart from the England-India Test series, not much has been going on in the world of cricket over the past few days. The Asia Cup is set to begin on September 15 in Dubai and UAE, with the first match taking place between Bangladesh and Sri Lanka. The Australian cricket team announced their Test squad to take on Pakistan a few days ago and some of the decisions made by the team management have come under the scanner. As mentioned above, the Indian cricket team ended their series on a disappointing note, losing the Oval Test by 118 runs. At the post-match press conference, Kohli snapped at a journalist after he was asked about whether this was the best Indian side in the past 15 years. "We have to believe we are the best side - why not". Journalist: "But is this the best Indian side in the last 15 years?" Kohli: "What do you think?" Journalist: "I am not sure"
Kohli: "You are not sure? That's your opinion, thank you". The question was probably raised by the journalist after Ravi Shastri had spoken about the same a few days ago, saying that no other Indian side had played as well as this current side over the past 15-20 years.